So you’ve decided to start a commercial cleaning business. Great! You’ve taken the first step down the road to becoming a cleaning business owner, and everything that comes with it. 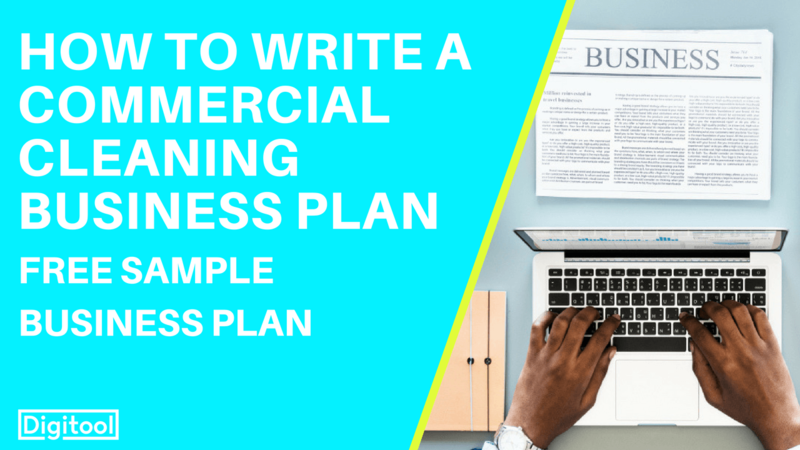 And since you’re reading this post, we know that you’re also conscious of the fact that a business plan will help you process some of the questions you may have about how you will set up, run, and finance your business. 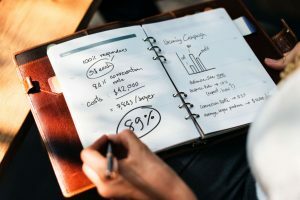 Writing even a simple business plan will help you iron out some of the potential kinks to allow the transition from whatever you’re doing now, to what you plan to be doing down the line. The beauty of making a business plan is it that requires you think think through all the aspects of your company and services in order to form your own personal business blueprint. Undertaking this process may be lengthier than you originally anticipated, and that’s okay. You may not know the answers to some of the questions you’ll be asking yourself as part of the planning, and these may become clearer later in the process. Similarly, you may never have thought of certain aspects of planning, and you might find you need to research or ask around for an answer. Seeking advice is always a positive step, and will allow your competence as a business owner to grow. With that in mind, we’ve put together a FREE sample business plan document to help you kick off, and will be going through some of the core concepts covered in the remainder of this post. As with anything, it makes sense to start at the beginning. Get the core of your company sorted and written out. Pick a name for your business, and ensure that this isn’t the same as another registered business, particularly another cleaning company. Check which domain names online have been taken so that you can easily set up websites to promote your services and create a portfolio of previous work when you come to market yourself. Choose a business structure for your new company or yourself. Most cleaning businesses register as a sole trader or a limited company, but be sure to thoroughly research what responsibilities each of these require, and which would better suit your work. The type of entity you choose can affect your next steps (for example, limited companies need to file yearly annual returns as well as other extra paperwork, so you may consider hiring an accountant), so it’s advantageous to have this outlined early on in planning stages. However, you can always change your legal structure down the line should you want to. For more information on business structures, see the IRS’s breakdown for US businesses, and Gov.uk’s page on structures for UK businesses. 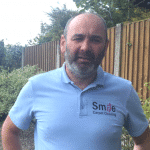 Looking for advice on How to Start a Commercial Cleaning Business? Take a look at our post for a step-by-step breakdown on how to get started. It’s also advisable to get your contact details in order, including a business phone number, email and address. Part of this process therefore would be shopping around for phone deals (if you are looking to have a separate work phone), and researching the best email services providers for your business (and additionally purchase a domain name if you want your email to be customised, for example [email protected]). Although this sounds like a simple step, it’s crucial to have this in order from the off, or else the customers will never call! You may also like to start laying out what web pages will be associated with your company. Having your own website is highly advisable in a market as competitive as commercial cleaning, and buying a domain name is a simple way to have that paved in early on, prior to building the website and filling it with great content. 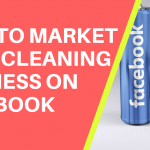 You might also plan to have one or more social media page, which can be a great tool for getting your name in front of potential customers, gaining good reviews, and contacting local businesses. A perhaps overlooked step in planning a business is researching your customers and competition, in efforts to find a gap in the market or where your competitors may fall short. In both instances, your objective is to be visible in order to maximise your sales. 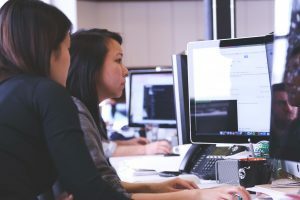 For certain businesses, particularly larger ones, market research is a complex and expensive process, but for the case of a small business looking to sell services, it can be as simple as you need it to be. It’s entirely possible to collect all the necessary information you need all by yourself, for free, with no business qualifications needed! Who? Who are your customers? What are their characteristics? Do you have a certain type of person or organisation you’d like to target? Where? Which areas are they in? Are there certain areas with business or organisations that you’d like to target? Are there multiple jobs you could do in an area? Why? What is a potential customer’s motivation for using your services? Why would customers use you over your competitors? There is plenty of information on local business and demographics available to view as open data, allowing enquiring businesses owners to tailor their marketing efforts and planning for a target market. Understanding prices and the existence of businesses by area will allow you to understand the appropriate rates of pricing, and who you should be pitching your services to. Begin researching online what your area ‘looks’ like, in terms of local demographics. Data for Neighbourhoods and Regeneration is a site which enables you to view demographical data to a neighbourhood level, giving you a snapshot view of an area. Neighbourhood Statistics (NeSS) was a platform providing further open data relating to neighbourhoods, which has been closed since May 2017. However data from this initiative can be found on GOV.UK, on behalf of other government departments. You can also find area population estimates on the Office of National Statistics (ONS) website. Although this step would be more crucial for domestic cleaning company owners, it’s still invaluable to commercial cleaning businesses given that the features of individuals present in an area will affect the types of businesses, organisations, service centres and commerce surrounding them. There are also resources to help you gain an understanding of the makeup of the local labour market. Nomis offers free access to detailed UK labour market statistics from official sources, allowing great insight into the market profile of the area you are looking to work in. You may already live in the area you’re looking to target, in which case you might have a good idea of what the demographics of the area are like. You may also have a loose understanding of the types of business that are in your area. But, researching this further can only be beneficial as there’s bound to be information you were unaware of, helping you generate leads and further build up your business plans. A separate, but equally important measure in market research is competitor analysis. Researching competitors will allow you to layout who your top competition is, what their main features are, and learning from their faults or successes. So how can you determine who your competitors are? Ask around: do your friends or family already have a commercial cleaner, or been contacted by one? Who are they? Type in your service and area into Google (e.g. office cleaner Chester). Which adverts are coming up? What organic (listings which aren’t adverts) hits are at the top of the page? Looking at other companies will also give you an idea of how saturated the market is in your area. Bear in mind that increased internet use means customers may have a greater choice, resulting in greater competition for you. If the area you have targeted is very well covered, consider operating in a wider area and covering niche locations. Once you’ve gauged who the competitors are, it’s time to investigate what these companies have to offer, and how. You might like to list their offerings, specialisms and what they do well; in doing so, you’ll be able to begin spotting gaps in what is on offer locally. A great place to find information is your competitor’s website, but for brownie points, browse their review pages to see what customers have praised and criticised them for. This will help you fine tune the process of differentiating your service offering, and creating your Unique Selling Points (USP). You could also ‘shop around’ as a prospective customer, and call local companies to gain insight into their pricing plans and offers, which will help you with your own pricing strategy later in the planning process. Top Tip: Browse your competitors’ review pages to get an idea of what customers think they’ve done well, and where their performance lacked, in order to help you learn what customers prioritise in a commercial cleaning business. Money can be a contentious issue, but proper planning will help avoid any nasty surprises when you are up and running. As a business owner, you should be looking to plan for start up costs, as well as ongoing costs, in order to help your business survive in the long term. Start by researching your startup costs by shopping for the items you’ll need to have in stock BEFORE starting work. This could include physical products such as cleaning utensils or machines, but also associated costs, including insurance and rental costs. In terms of products, shopping around can substantially profit you, but be sure to search for the best price for the best quality, rather than simply the cheapest option. The total of this sum will be what you need to have saved up front. You might choose to opt for a business loan from a reputable bank to help with this sum, and again, shopping around for the best deal that suits your business needs will benefit you immensely. Remember that you’ll require a business plan to apply for a loan, so follow our steps to get a good outline of what you’ll need to have planned. You could also have the potential to qualify for a small business grant from the government, depending on where you are based. Businesses in the UK can find business grants listed by the Department for Business, Energy & Industrial Strategy. Next, calculate your monthly fixed (unchanging costs such as rent or insurance) and variable costs (such as costs of new goods or training). 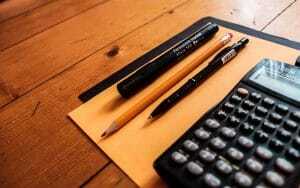 Try to calculate monthly costs each month and in advance of the upcoming month. This way, you’ll get a baseline of what you’ll need to earn to break even that month. For example, if your upcoming costs for your vehicle, marketing, wages, insurance and stock come to £1,200, and your average job pays £200, you’ll need to secure 6 jobs that month to break even. If you opt for a business loan, remember to include this in your calculations. Also bear in mind that variable costs can be scalable; for example, the cost of marketing, wages and vehicles will typically grow as you take on more work. You may also want to include personal costs such as your rent, utilities, and general cost of living, marking any money made above the combinations of costs to be a profit. Promoting a business is a key factor in its sustainability and ability to compete in a market, and your business is no exception. Have you considered what your branding will be? When selling your services to businesses and organisations, having a ‘brand’ will help give an impression of professionalism and trustworthiness: how you present yourself is what your customers will see. Many people view branding as simply a logo or colour scheme, but your brand includes how you visually present yourself, as well as the the way you and your employees work. If you’ve determined that one of your business selling points is your friendliness, then this aspect of your brand should be present in various aspects of your work. Maybe you answer the phone in a particular way, conduct follow ups with customers where you thank them and ask for feedback, or simply adopt approachable customer service. The key is to be consistent in how you present your company: if your company van logo is different to the one on your uniform, this cuts into the memorability of your company name. Preparing your marketing and advertising ahead of beginning work (even if you choose to begin advertising further down the line) allows you to quickly implement it when you’re ready to drive demand. It also forces you to put money aside for this project, which will essentially act as an investment into the success of your business. Begin outlining what types of marketing you’ll want to use, and through what channels of delivery. You may want to opt for a mixture of modern marketing strategies (paid advertisement, for example) and traditional methods of cleaning service promotion (such as printed leaflets). Sketching out how you will measure the success of these efforts is invaluable in giving you a marker to bat for, as well as giving you feedback for when you should be changing up how much money you invest into which avenue. In order to do this effectively, you’ll need to be collecting the right information on how you’re gaining work. One measure of success could be measuring your Return On Investment (ROI). You can calculate your ROI for marketing in two ways: as a percentage, or as a representation of money spent vs money earnt. Return On Investment as a Percentage. So, if you gained £600 worth of jobs directly from marketing, and spent £150 on the marketing campaign, then the ROI would be 300%. Return On Investment (for every £1 I spend I make in profit). So, if you gained a profit of £200 (after deducting the cost of providing your services), and spent £80 on marketing, your ROI would be 2.5. Meaning, for every £1 you spent, you got £2.50 back. £200 ÷ £80 = 2.5. In order for these calculations to be accurate, you will need to be able to determine how customers found your services. For example, how will you discern between someone who booked a job through seeing your van wrapping and someone who found you from your website? Interested in learning more about how best to advertise your cleaning business? Check out our Tips On Advertising and Marketing Your Cleaning Services. Writing a business plan is the first step in turning your idea into a reality. However, think of it as a living document, which needs amending and recalculating as your business progresses and changes. Make it as in depth as you find useful, and be sure to always think ahead to what is needed in order to achieve your business goals.